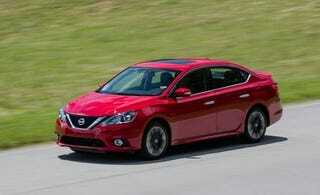 What do you want to know about the new Sentra Turbo? So I got an email from Nissan just begging me to come test drive their new car. Since I’ve never reviewed a car before nor do I have particularly good memory. I decided to ask y’all now what you wanna know beforehand (I’m test driving it tomorrow). *Full Disclosure. Nissan wanted me to drive the new turbo Sentra so bad they sent me a spam email. And probably had to buy my email address from google.